Caption slip reads: "Photographer: Monte[verde]. Date: 1959-10-09. Reporter: Henley. Assignment: car in window. 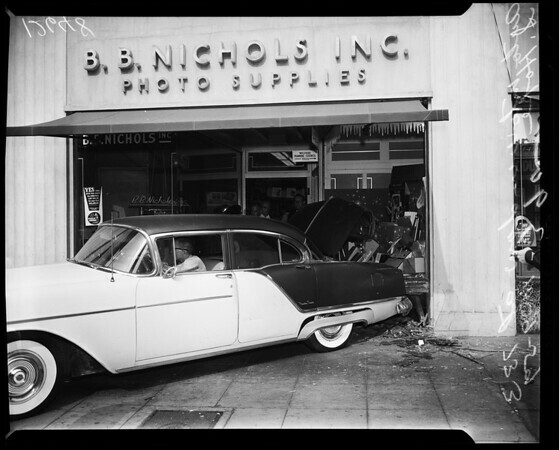 Auto in window of camera shop at 733 S. Hope St. Driver was Morris Appell, 64, 503 N. Hillcrest Rd., Bev Hills. He backed car across curb into store when automatic transmission failed to function properly".